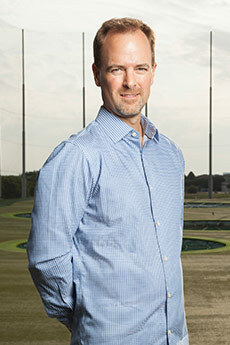 Kevin Miner enjoys the distinction of having overseen the development of every Topgolf facility in the U.S. to date, starting in 2004 when he was hired as a consultant to manage construction of the first U.S. location in Alexandria, Virginia. He joined Topgolf full time in 2010 and currently serves as Vice President of Construction. Kevin has assembled a team of dedicated professionals who are deploying a strategy to roll out 10 new state-of-the art facilities each year for the next several years, which will account for more than $600 million in total development. Prior to becoming involved with Topgolf, Kevin held a variety of positions in architecture, planning, development and construction, working on a wide range of projects from custom-built homes to championship golf courses. Kevin holds a Bachelor of Science degree in architecture and a master’s degree in construction management, both from the Georgia Institute of Technology. When not cheering Georgia Tech sports or Manchester City F.C., he can be found chasing a tennis ball, rock climbing with his son, or kicking back with his guitar and a good beer. His wife alleges that he cried while watching Frozen with their 4-year-old daughter, but that report was never substantiated.